Amrik started writing when he was still in high school in 1964. He speaks four languages fluently and writes books in two languages. He is the author of nine published books and is currently working on three more. 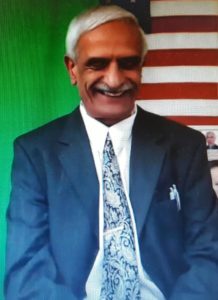 Born in India he has lived in Europe for over four years, in Canada for three years and for more than thirty four years in the United States that he passionately calls home being a U.S. Citizen. He is considered one of the experts on the topic of generating income at home using home based business and mail order. He has authored five soft cover print books on this subject and has been selling those for the last twenty years. He is currently working on his life story with real life lessons of beating all odds that sounds like a novel but it is completely non fiction and is his eleventh book titled ‘Guided by Divine Enlightenment’ that will be on the book shelves sometimes in 2015.